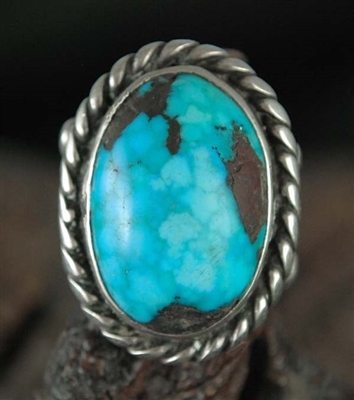 This stunning Navajo Ring is set with a high dome Natural water webbed Turquoise cabochon. 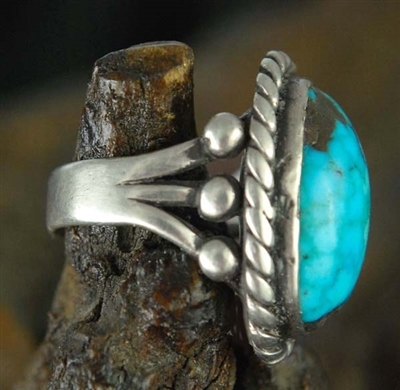 The ring is hand fabricated Navajo work. 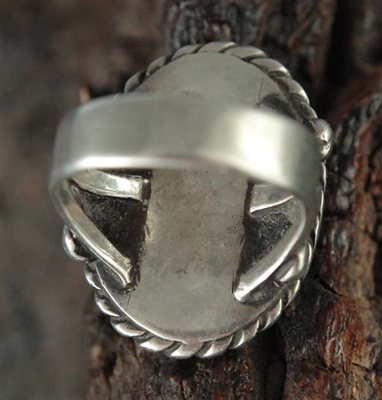 The high domed stone is set in a hand fabricated smooth bezel, perfectly framed with heavy silver twist wire. Rain drops on the side add the final touch to this lovely ring. It measures 1" by 3/4". 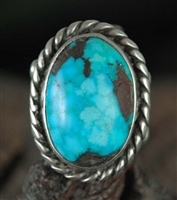 The ring is a size 8 1/8. Artist unknown.